KAUHALE MAKAI ALSO KNOWN AS VILLAGE BY THE SEA features one bedroom (sleeps four),bedroom and bathroom just updated with new tile in living room,bedroom,and bath.New 2017 French doors installed separating bedroom from living room area, sofa sleeper queen with 6 inch mattress,end table lamps,standing lamp,wood cabinet,40 inch tv,2 new comforters for bed sheets,cookware,queen mattress,bedroom furniture 2 dressers 2 end tables bed frame to arrive sometime in June.HIGH SPEED INTERNET, central air conditioning,TV in living room and bedroom has a queen size bed, nicely furnished sofa sleeper with queen mattress, stove,microwave, refrigerator, and a dishwasher. A sliding glass door in the living room and bedroom leads out to private lanai, and offers an ocean and mountain view.2 pay washers and dryers on each floor. BE SURE TO CHECK THE VIDEO OUT THE VIDEO OF THE CONDO,IT SHOWS THE VIEW AND INTERIOR OF THE CONDO. We thoroughly enjoyed our stay here. Our hosts were very accommodating. The unit was very clean on arrival, kitchen supplies were very good and we had a lovely view from our balcony. We particularly liked that we could sit out on the grassy area in the evening to watch the sun set. Would definitely stay here again. - we experienced significant flight delays which delayed our arrival from 3 PM to 11:30 PM; not having stayed at this complex previously, we were not familiar with where the elevator was located nor where to park...poor Carlos (the on island contact), we had to call him upon arrival at 11:30 PM. We asked him where to park - he said stall #65. Well, there was a car parked in stall #65 already. When we contacted the office the next day, we were informed scramble parking was in effect until construction was complete. Why didn't Carlos know this, or inform us of this? Construction has been going on for more than 2 years. We ended up walking around in the dark trying to find the elevator. These are a couple pieces of information new renters would find most useful. - previous VRBO rentals have always included basic condiments (ketchup, spices, etc.). The fridge was completely empty. It would have been nice to know this before hand so we could grocery shop more effectively. Construction did not in any way negatively affect our stay. The workers are courteous and conscientious and friendly. These things being said, we would definitely consider renting this unit again if we decide to return to Maui. They told us there flight arrived in the afternoon and I didn’t think about the open parking policy as the front desk let’s them no this when they checkin,I will need to add this to our checkin policy.We will add a map of the property to our website. Great stay! Close to the beach for sunsets. The condo was well stocked with all you need inside and outside for your enjoyment on Maui. Thank you Kathy! We loved the condo and location. Ran into a few snags upon arrival, we didn't have the code for the lock box and then the key wasn't in there once we did finally get the code. The other downside, was the jackhammering next door and then our last three days the balcony where I sat every morning was being torn up and was unavailable to use. We stayed at the condo for 2 weeks and loved it. 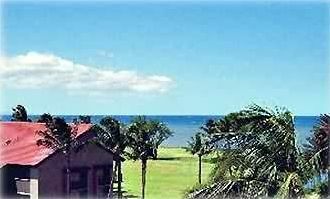 They view was great from the lani and just a short walk to the ocean. The bed was comfy and the room was very clean. The kitchen had everything you need to cook (my hubby wouldn't let me while on vacation). Having the coffee pot was a life saver, filters were supplied and I brought some coffee with us. It was a way from the hustle and bustle of town but that worked perfect for us.This was our first time ever staying in a condo, we usually stay at a small hotel, but I would totally stay here again. It was a wonderful experience and very enjoyable.The staff in the office were very polite and helpful, they made us feel very comfortable with our choice in this condo unit. The only issue my husband had was, it was too bright in the morning, hard to sleep (I on the other hand didn't mind at all). The roadside hula hula chicken stand down the road had the BEST ribs I have ever eaten(must check out when you visit). Janet ! so happy u had such a wonderful time in Maui. and your husband sounds wonderful, thank u for choosing our place we strive on making every guest feel like they are welcomed and at home . This was our second time staying in this complex at a different condo, and all I have to say is that it was fantastic! It was clean! The view was lovely, and the best thing was, was that I didn’t have to call anyone to help me figure anything out. The only thing I would recommend would be maybe update some of the utensils, but that’s an easy fix. Thank you for the lovely stay! KAUHALE MAKAI ALSO KNOWN AS VILLAGE BY THE SEA.. It is so easy to get to anywhere on the island from Kihei. The comples has 2 pools, a wadding pool for smaller kids, and a full size pool. Also a jacuzzi pool, outdoor shower, putting green, shuffleboard, and tennis is available at the park next door. The office will loan you rackets & balls.Theree is a city bus that stops in front of the condo.